Since it debuted in 1975, the BMW 3 Series has been one of the top luxury compact cars in its class. With handsome styling and an athletic look, the 3 Series has set the bar for sedans and sports wagons, and with the Gran Turismo, it has even more space and more power. The classic 3 Series Sedan comes in 9 trim levels that start with a 2.0-liter TwinPower inline four-cylinder engine that generates 180 horsepower. There is also an available 3.0-liter engine in the 340i Sedan and XDrive with 320 horsepower. There is also a diesel option. The 328d Sedan comes with an available 2.0-liter Turbo Diesel engine. With the same great features of the Sedan with the extra cargo space of a Sports Wagon. There are two trim options, the 330i, and the 328d. Both have a 2.0-liter engine with the 328d being diesel. The Gran Turismo is quickly gaining popularity for its unique design and all-weather reliability. The 2.0-liter engine can generate 320 horsepower at the 330i trim level, and the 340i comes with a 3.0liter TwinPower Turbo that can generate 320 horsepower. 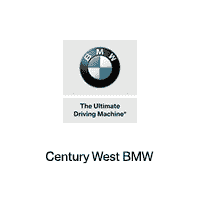 If you’re looking for a great vehicle in the Los Angeles area, Century West BMW wants to show you the 3 Series. Our staff can answer your questions and arrange a test drive.